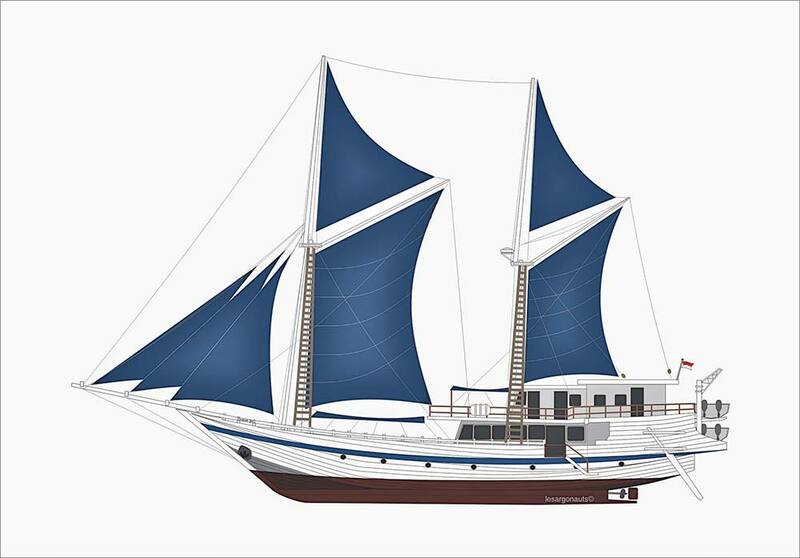 It is difficult to know where to start with this remarkable Phinisi scuba diving schooner. The boat has classic looks and is made from local materials, but the creature comforts, food, safety & navigation features, and general on-board luxury are all very modern. Also, instead of trying to be a Jack of all Trades, Komodo Dancer spends nearly the whole year at the Komodo and ventures east to Alor and Ambon when the monsoon comes to Komodo. 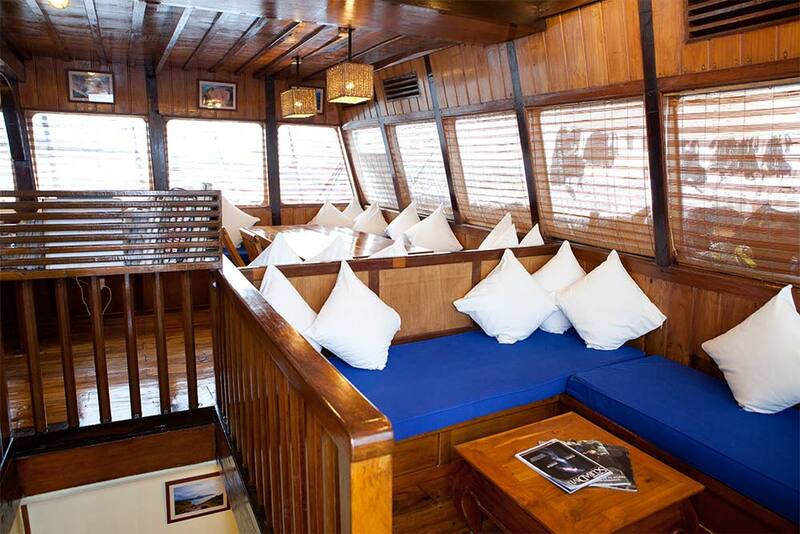 There is a lot to recommend Komodo Dancer, and much of this involves the delicious meals served on board. With a highly-experienced chef serving a unique blend of local and international cuisine, guests never find themselves returning home having lost any weight! The company pride themselves on the service guests receive throughout the whole cruise, but pay special attention to the food. In addition, unlike most other Indonesian liveaboards, local beer is available for free on Komodo Dancer, although only after each day’s diving. 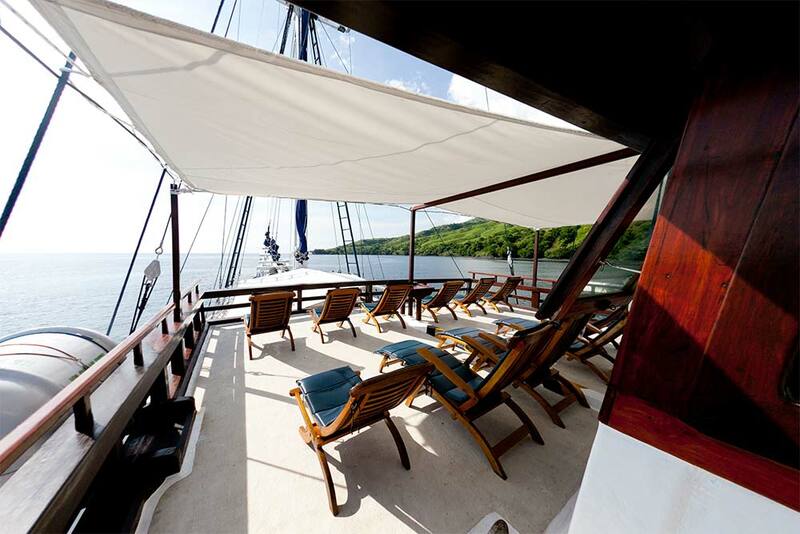 Enjoying a diving cruise on Komodo Dancer isn’t just about eating and drinking though. Guests come from all over the world, and book many months in advance, to enjoy some of the best scuba diving in the world on board a boat in which they can truly trust the safety and service, while getting a good night’s sleep every night. 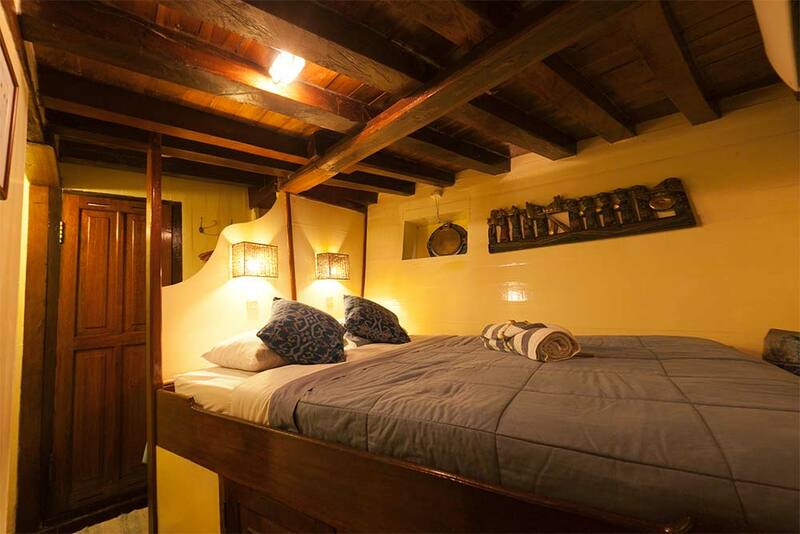 The boat has 8 cabins, in three comfort levels and on two decks. 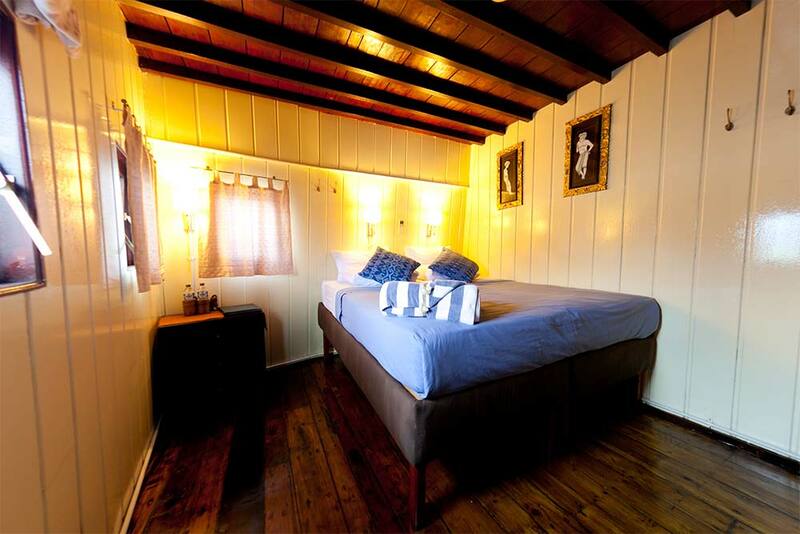 All cabins are for two guests, and have individually-controlled air conditioning and en suite bathrooms with hot & cold freshwater showers. 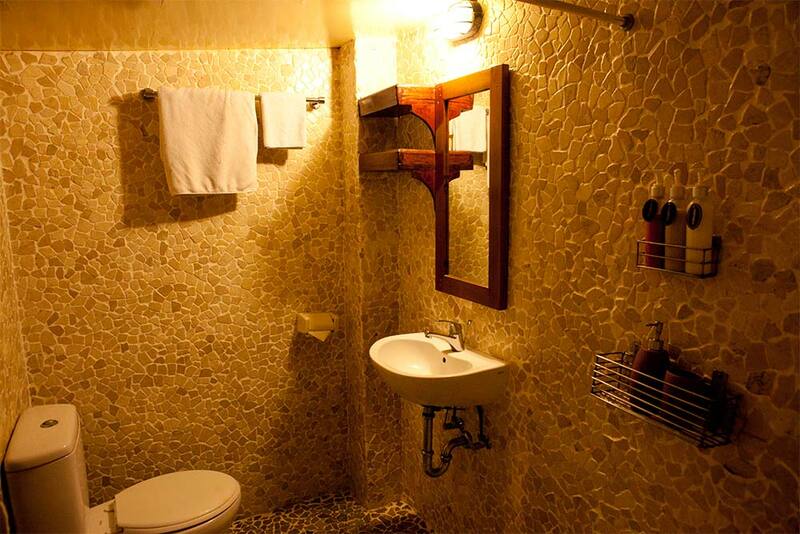 Toiletries and towels are provided and everything is kept clean by the efficient housekeepers. The two most luxurious cabins are known as ‘Owner’s Suites’ and take pride of place on the upper deck. 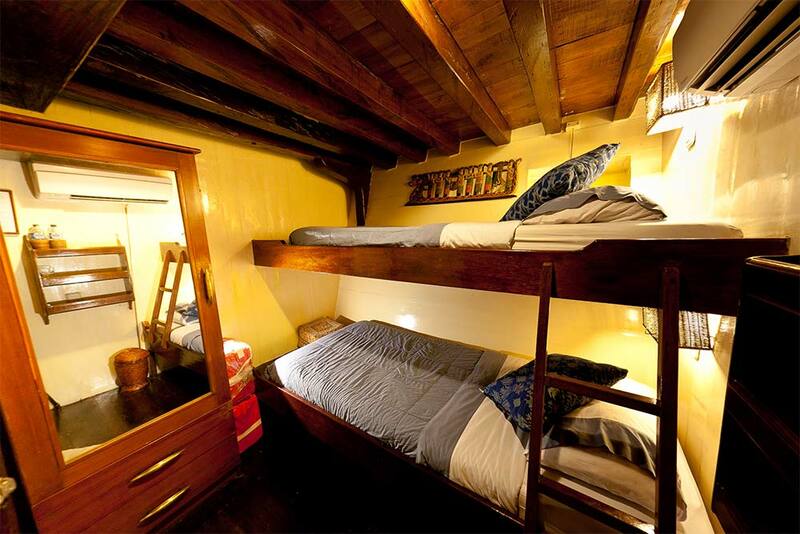 The other six cabins (two double and four twin) are in the boat’s lower deck. 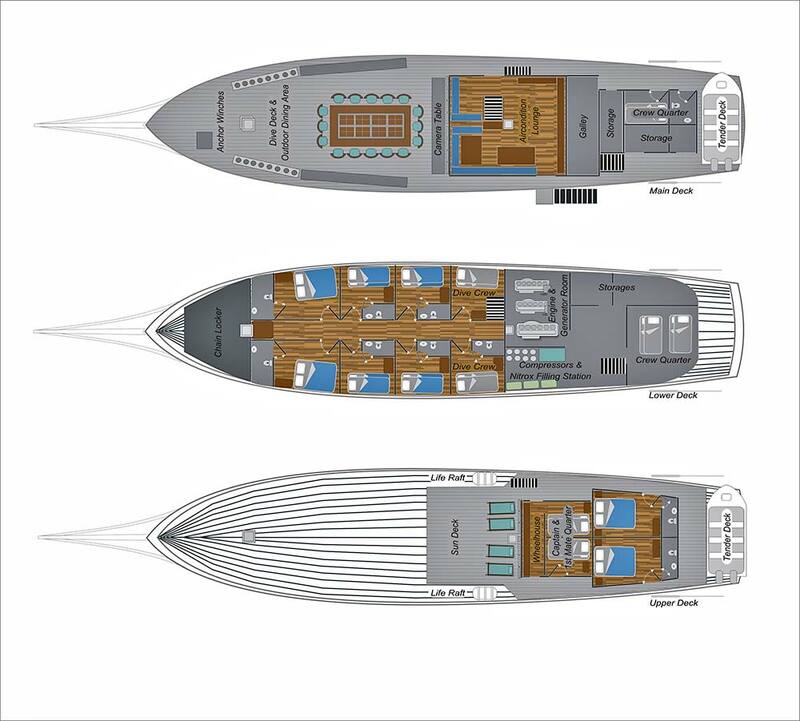 The overall length of Komodo Dancer is 35m, with the length over its decks at 30m, thus ensuring everyone on board has plenty of space to move around, socialize in groups or find some privacy. 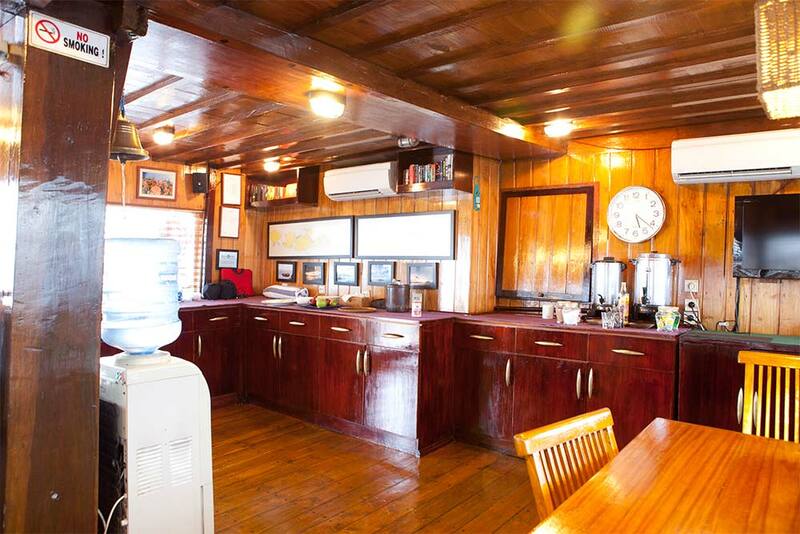 While most guests on Indonesian dive liveaboards come to enjoy the weather and sea breeze when not underwater, there needs to be the opportunity to relax and dine indoors. 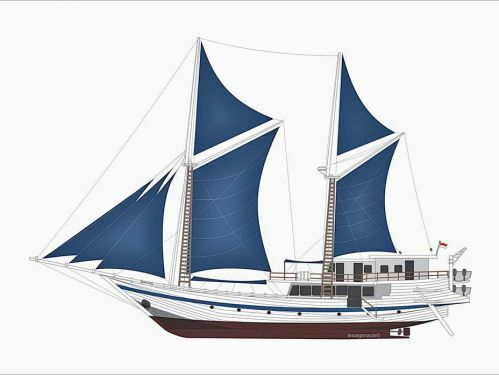 Komodo Dancer has a large air-conditioned lounge and dining room, with a long workbench designated for the care and storage of photographic and video equipment. There really are plenty of reasons to choose Komodo Dancer for a relaxing adventure both underwater and on land at the World Heritage Komodo National Park. 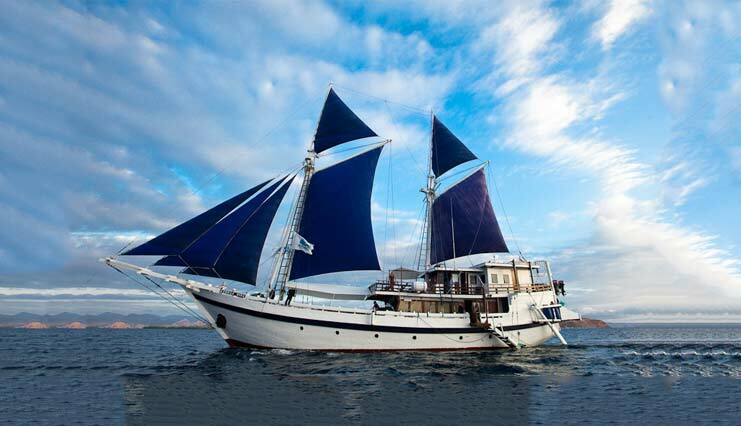 The two most common cruise lengths on Komodo Dancer are 7 nights and 10 nights. However, there are several others not listed here. Please contact us for more details if you have a particular interest in a particular itinerary. Please note that each itinerary is just an example of what to expect on each cruise. While the cruise director will always do his or her best to stick to the ideal itinerary as planned, there are times when small changes need to be made. These changes can be good, for example when there have been recent sightings of special marine life, or when the majority of diving guests on board would like a particular underwater experience. The most common factors for making any changes to the itinerary are sea and weather conditions. Komodo Dancer staff and crew always put the safety of passengers first, and try their best to give every diving guest as much enjoyable time underwater as possible. They aim at up to four dives per full-diving day. *The 7D/7N trip follows a very similar itinerary but misses some dive locations and/or spends less time in each area. Pick up and drop off logistics are the same for both trips. 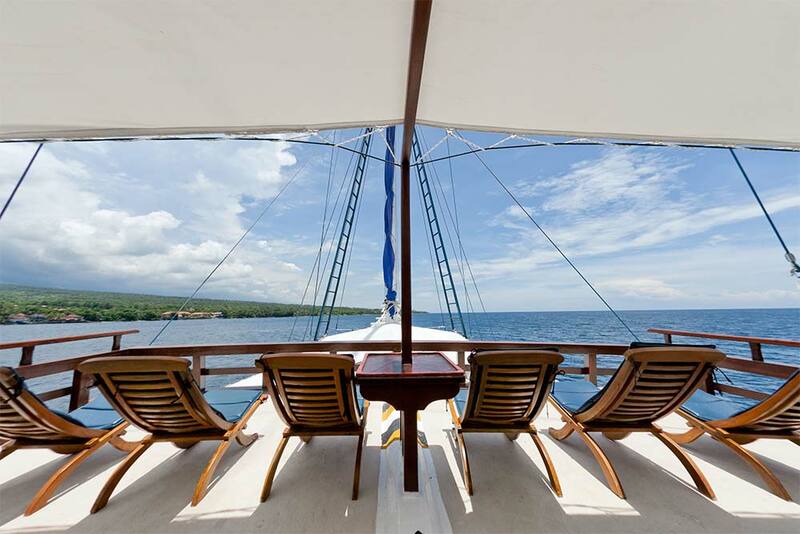 **Some of these trips start or finish at Benoa Harbour, in southern Bali. Pease check the schedule carefully before booking your domestic flights within Indonesia. 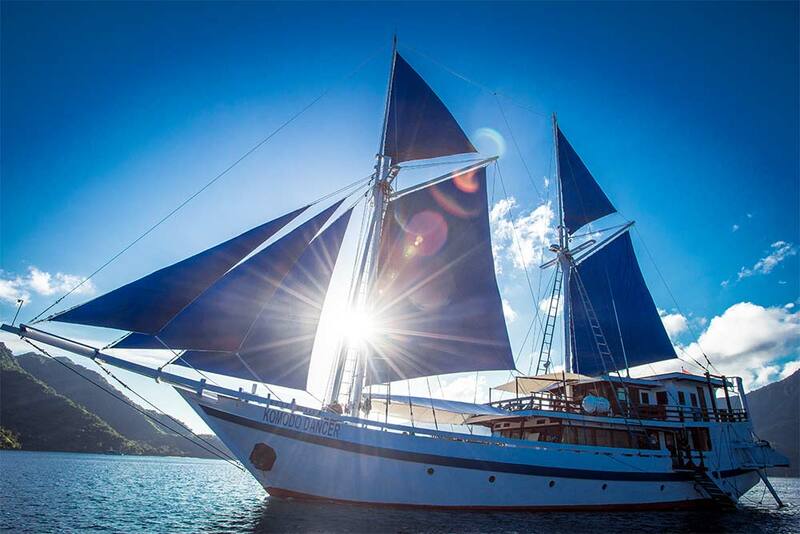 Towards the end of each year Komodo Dancer sails around Alor, Ambon, Maumere & the Banda Islands. These itineraries are similar to the Komodo trips, offering 4 dives most full diving days, and up to two dives on the first and final full days. Departure/return ports are sometimes Alor/Alor, Alor/Ambon, Ambon/Alor or Alor Maumere. Please check the schedule carefully and contact us for the most accurate and up-to-date details of any trips you are interested in. Although most guests join Komodo Dancer’s liveaboard diving cruises to relax and enjoy the dives, there is a lot of sense in taking part in a diving course while on board. The environment is perfect to learn about fish species, and dive in a variety of challenging and interesting conditions. Nitrox and other specialities are the most common course taught on Komodo Dancer, but almost anything is possible. 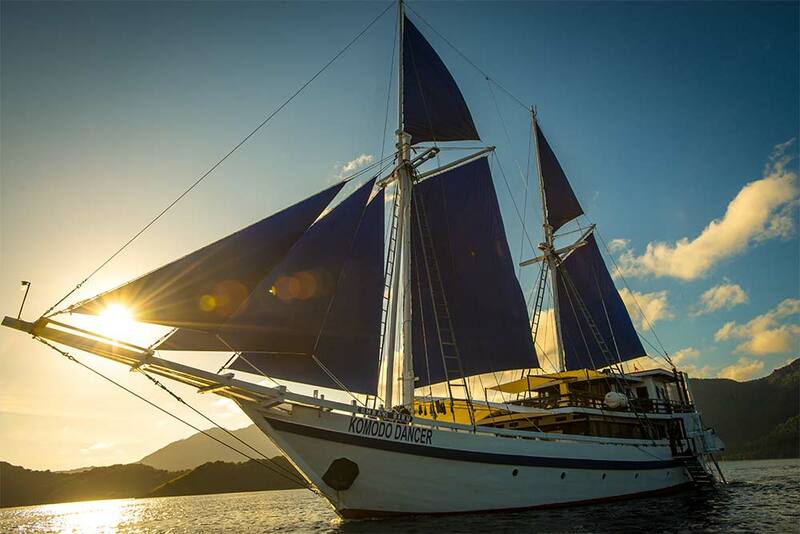 For the most up-to-date information and prices, as well as availability in your preferred language, please contact us well in advance to ask about a diving course on a Komodo Dancer liveaboard trip. Komodo Dancer guests are transferred free of charge from a number of locations at the start and end of the cruise. Guests arriving on the flight to Labuan Bajo or already staying in the town are met by Komodo Dancer staff and taken to the pier, which is a just a short journey. Guests staying in the south-east corner of Bali can also benefit from free transfers from their hotel or resort to Denpasar Airport to board the flight to Labuan Bajo. At the end of each cruise, Komodo Dancer guests are transferred to Labuan Bajo Airport or local hotels. Guests on Komodo Dancer cruises to other destinations can also enjoy local hotel and nearest airport pick up & drop off free of charge. Because it is too risky to rely on flight connections to and within Indonesia, Komodo Dancer guests are required to spend at least one night in the area before the cruise. For example, on Bali Island or in Labuan Bajo town. This also gives time to recover from jet-lag. Booking domestic Indonesian flights from overseas is not easy. We have a team who are ready and willing to help. Please contact us. 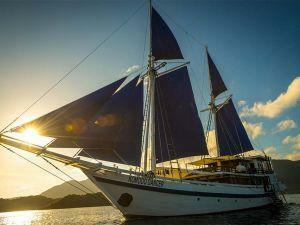 Published rates for Komodo Dancer cruises are 'per diver.' Non-diving guests enjoy a $200 discount. Solo divers who don't want to share with another same-gender guest can have a cabin to themselves by paying a 65% single supplement fee. For rental items or services not listed, please contact us. There are more itens than we are able to list on this page.